What a beautiful property! Our classic Reunion Resort home benefits from being one of the best floor-plans in the resort with over 3300 sq. 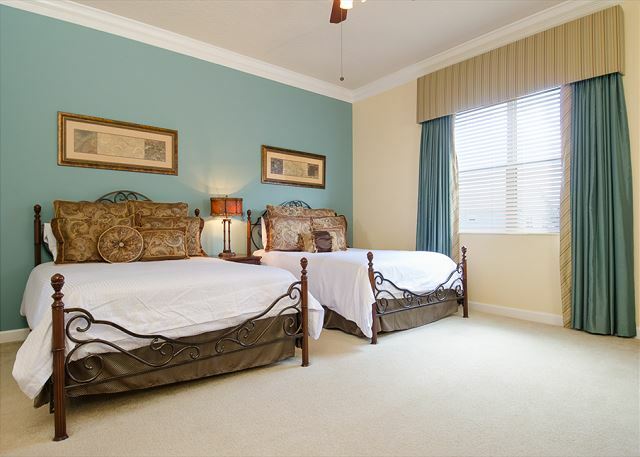 ft., including 5 bedrooms and 5.5 bathrooms! 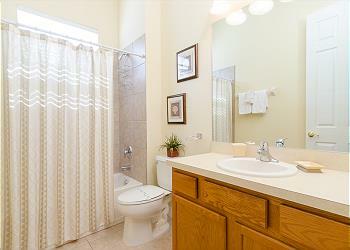 Once you walk through the front door you will realize how much space there is in this adorable home. 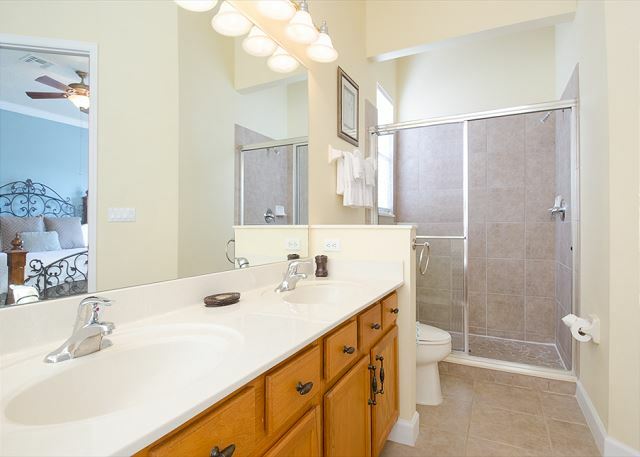 You won't believe it, but there are a total of 4 master bedrooms in this home, with 'en-suite' bathrooms - two of which are huge at either end of the second story (ideal for privacy) both with sitting areas and one with private balcony. 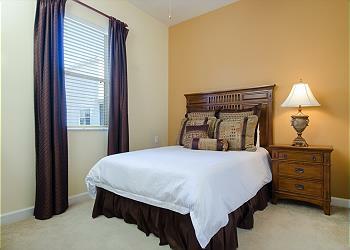 On the first floor, there's a bedroom with bathroom immediately adjacent, making for excellent privacy. This room is perfect for those who may have difficulty with stairs. 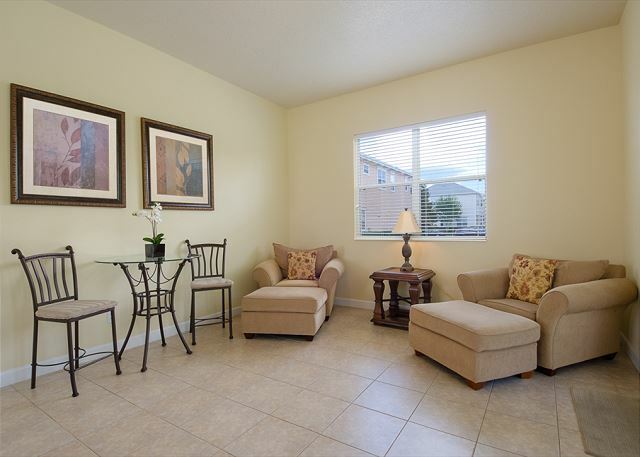 Our multi-family floor plan is ideal for two families traveling together or one family wanting space for kids, adults and grandparents alike. 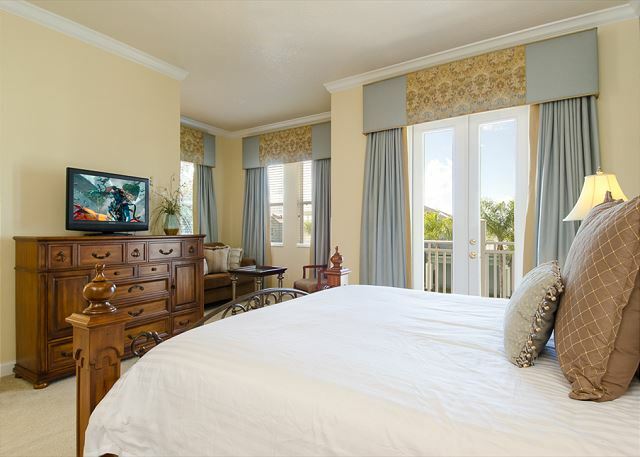 No expense has been spared with the flat screen TVs in all rooms along with complimentary high-speed internet that cover the complete property (even the pool area and lanai). Enjoy our secluded private pool and spa overlooking a conservation view or why not enjoy a friendly game of pool on our high-end billiards table? 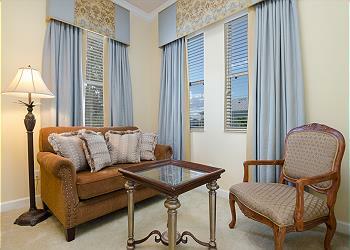 Or just kick back and our home has luxury furnishings throughout for you to enjoy. The charming kitchen area is complete with everything you could need from pots, pans, coffee maker, blender, crockery, double door refrigerator with chilled water dispenser and ice cubes at the touch of a button. The breakfast bar and table with chairs are perfect for those quick pancakes from the stove-top and a quick coffee before heading out to the parks for the day. 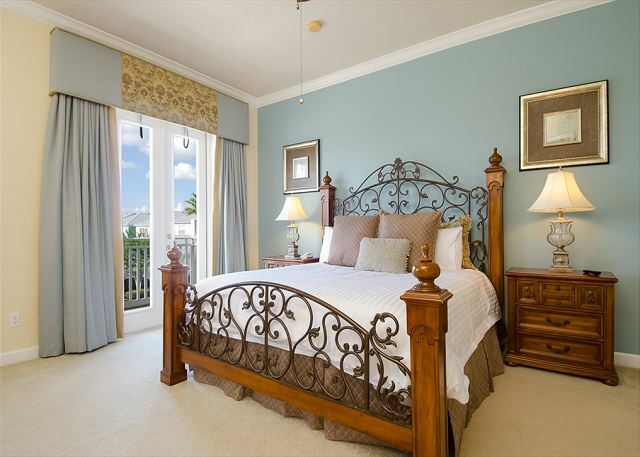 High-end bedding, linens, and bathrooms are standard throughout and all beach and bath towels are included - just bring your suitcase we have you covered! 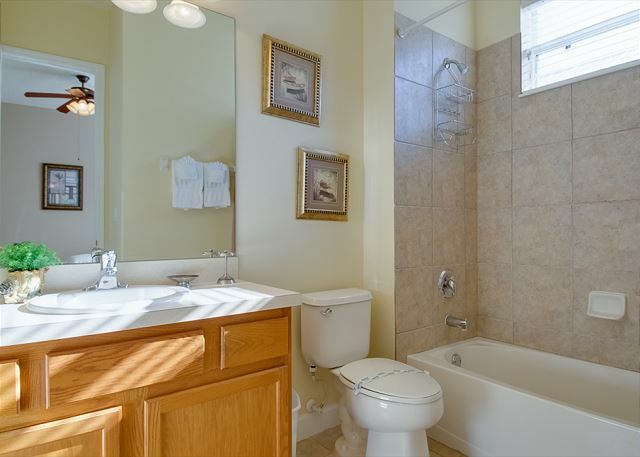 Hair dryers in all bathrooms, full-size laundry room with full-size washer & dryer and ironing board is ready for your use should you require it. 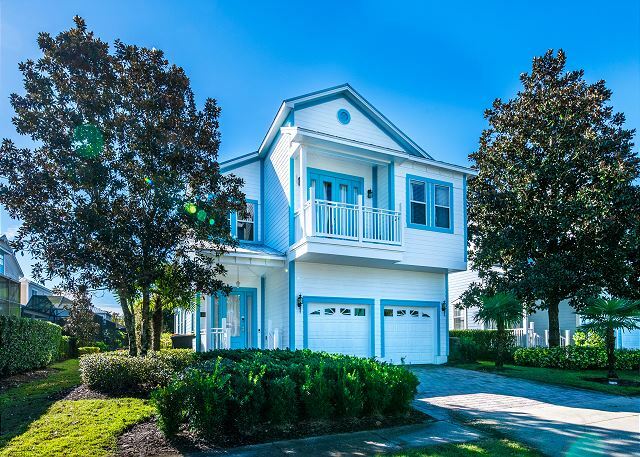 To put on the finishing touches to this fantastic vacation home we have installed a fantastic garage games room with full-size slate bed pool for all age groups to enjoy. 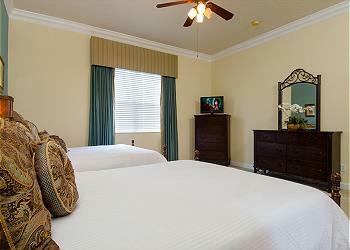 This home is located just a few minutes from the Reunion Grande Hotel, swimming pools, and fabulous resort facilities. 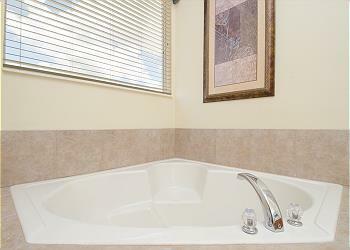 Inquire about adding Pool/Spa heat to your reservation. I was extremely pleased with the communication between Carl and me. He was always steadily available to answer a question. The house was exactly as described and we really enjoyed our stay. Thanks again Carl!! thanks for leaving a review Shannon - come back and stay at one of my homes again soon - you are welcome back anytime :) Best wishes. Carl. 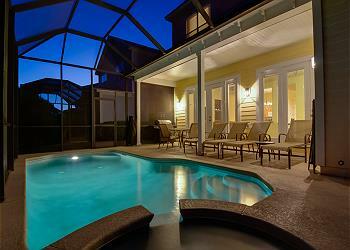 Luxury Florida Rentals. thanks for coming and staying Shyam - come back soon! 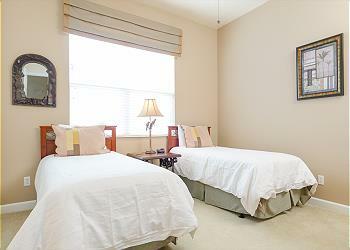 This house is very spacious and ideal for two families travelling together. Carl has been very helpful and responding to some minor issues quickly. Reunion resort itself is large, quite with some shops around and worth exploring; but we do not have enough time. Great experience. The house was as promised and Carl was very responsive. 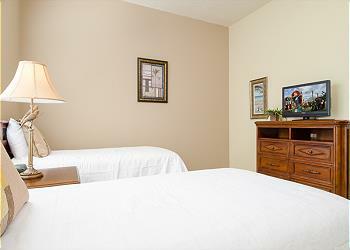 Very large and spacious accommodations, good quality furniture, etc. House comes loaded with everything we needed and it was kept very clean. 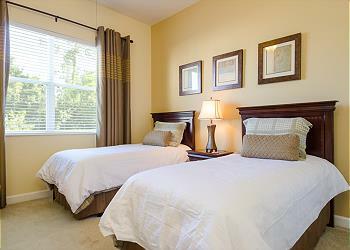 We would definitely recommend this for families travelling to Orlando looking to have a home-like experience. Thanks to Carl and the team!